Oklahoma Connection | Harlow was born in Oklahoma City and grew up in Norman, Oklahoma. Truly the “mother of the Philharmonic,” Jane Harlow identified and personally solicited individuals who were community leaders interested in building a new orchestra in Oklahoma City, organized the first several meetings, found a president for the society and opened the doors to raise the necessary funds to finance the new Oklahoma City Philharmonic Orchestra. Native Oklahoman Jane Bienfang Harlow graduated with a B.S. in Education from the University of Oklahoma in 1957. 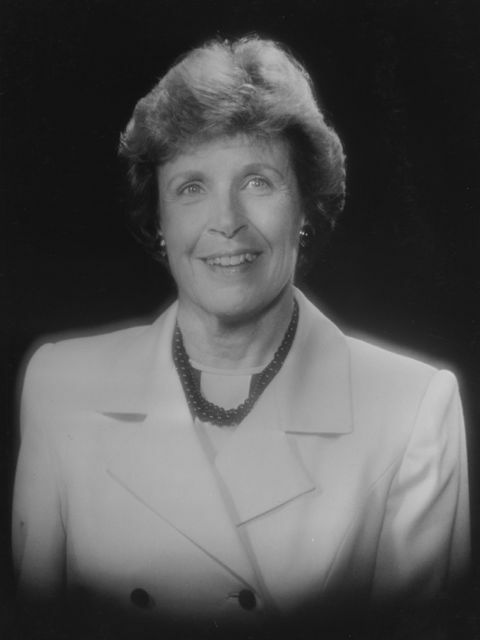 She married James G. Harlow, Jr., former chairman of the board and president of Oklahoma Gas and Electric Company and chairman of the OU Foundation until his death in 1996. A year later Mrs. Harlow was asked to join the OU Foundation Board, retiring in 2006. She was instrumental in organizing the Bizzell Library Society, serving two years as president and is still on the board. The daughter of a former OU Professor of Pharmacy, she was the only lay person on the College of Pharmacy’s advisory board. Jane is a recipient of OU Regents Award and the United Way of Central Oklahoma Lifetime Achievement Award.